Microsoft announced a new Surface Pro at its ShangHai event today. While the new Surface Pro is not a full-blown iteration of the Surface Pro 4, it does update it with some much-needed improvements and a few new features. 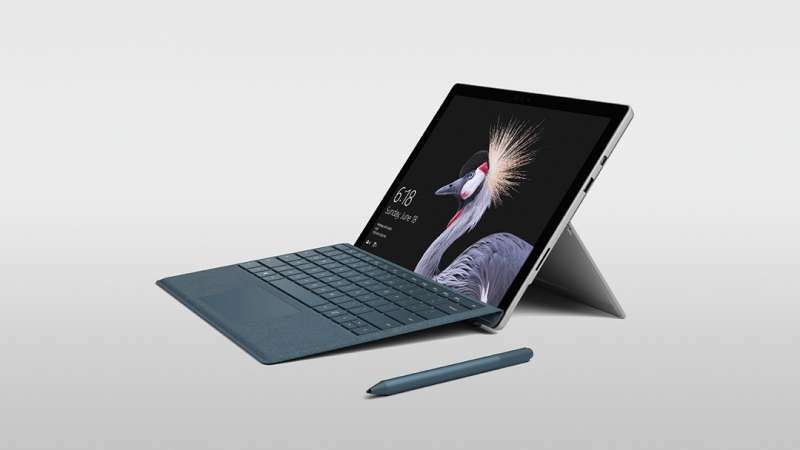 The new Surface Pro has been updated to use Intel’s newer and more efficient 7th Gen KabyLake-U. 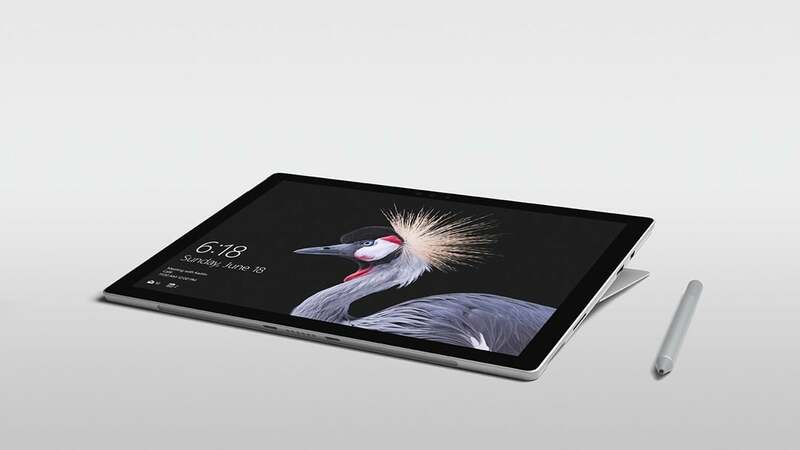 Similar to the Surface Pro 4, the new Surface Pro will use the m3, i5, and i7 families. Because the processors are more efficient, both the m3 and i5 models are now fanless. The i7 model’s noise level is a mere 18db, so it’s near-silent in its own right. Screen size remains at 12.3″, but Microsoft has added something called the PixelSense Accelerator to improve the vibrancy of colors. Microsoft claims that this is an improvement made on the hardware level. Following suit to the Surface Studio, the Surface Pro is also calibrated for sRGB and DCI-P3 color spaces. To ensure you can enjoy the screen in any position, the kickstand now folds 165 degrees. Supporting the device is a brand new hinge design. Microsoft claims that it won’t break even if you push the device too far. A massively overhauled feature is the Surface Pen. The new pen now has 4,096 pressure points and supports multiple angles. In the press conference, Panos Panay described it as a “ball-point pen”, and that it’s the most real feeling Surface Pen to date. The catch is that it’s no longer included with the device and will cost you $99. Another improvement is made to the battery life. The new Surface Pro is rated to be able to run for 13.5 hours on a full charge. 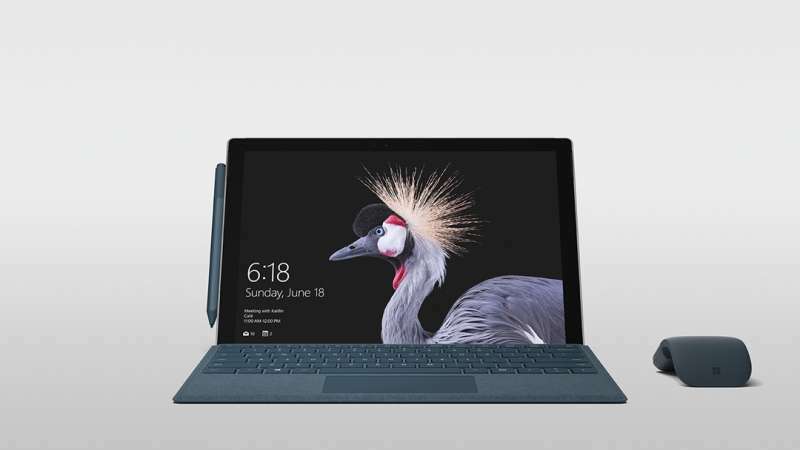 In the presentation, Panay claims that numerous improvements were made to the Surface Pro to achieve this. Introduced alongside the device is a flurry of Alcatera Surface Type Covers (the detachable keyboard). They will be available for $159 and come in platinum, burgundy, and cobalt blue. The non-Alcatera Type Covers will still be available for $129. Microsoft is planning on releasing a LTE-enabled Surface Pro sometime down the road. This is a highly requested feature from the community and was only available on the now discontinued Surface 3. Expect it to come at a higher cost though. To our dismay, the new Surface Pro still doesn’t come with a USB Type-C port. At the launch of its Surface Laptop, Microsoft was adamant that USB Type-C isn’t ready for mainstream. While we agree that it can’t completely replace Type-A just yet, it would’ve been nice to put one next to it. See why we want USB Type-C here. So where’s the Surface Pro 5? Panay says it won’t come unless it offers substantial improvements over the Surface Pro 4. In the meantime, we’re glad that one of our favorite laptops has pulled back inline with its competitors. The new Surface Pro is now available for preorder through the Microsoft Store starting at $799. It will officially ship on June 15th.